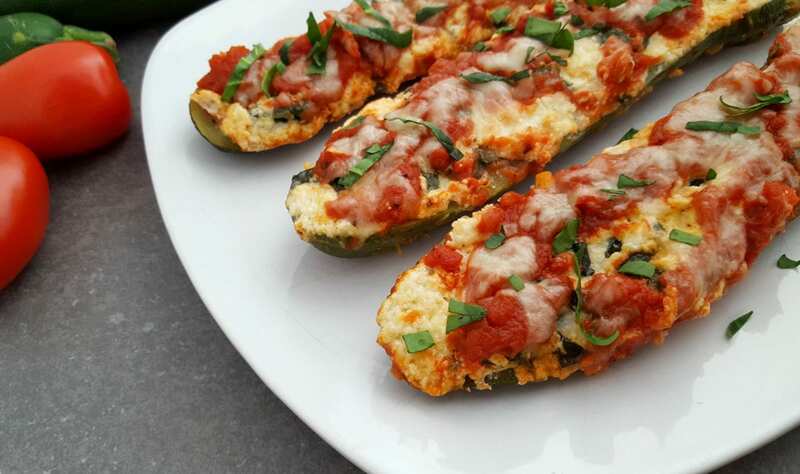 Lasagna Zucchini Boats are so fun to make. My daughter is a vegetarian and that means that I am constantly looking for different dinner ideas to bring to the table that everyone will love. Zucchini recipes do particularly well because it’s a vegetable that everyone loves. I started to think about stuffed lasagna options and ended up landing on a vegetarian lasagna that looks almost too pretty to eat. Well, almost!! 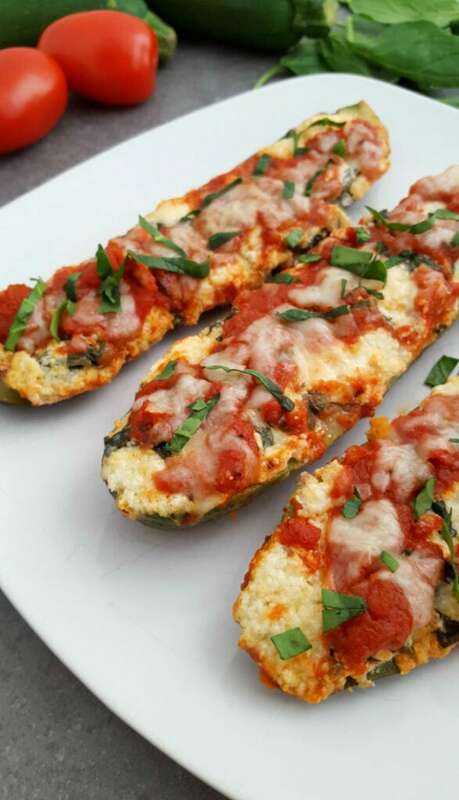 Check out this zucchini recipe that is made up of 3 cheese, spinach and a whole lot of love. Lasagna Zucchini Boats Why Vegetarian Lasagna? Vegetarian lasagnas are really simple to make – just be sure to head to the store to pick up the necessary ingredients ahead of time. Most of these products are perishable which means odds are you won’t have what you need in a pantry. Stuffed lasagna turns out really gooey and delicious – so be prepared with lots of napkins too. LOL!! 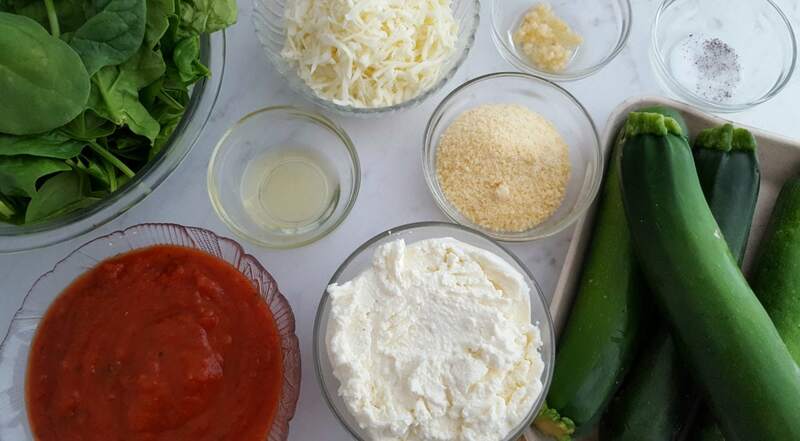 This Stuffed Spinach Lasagna Zucchini Boat recipe gets the kids super excited right from the start – they even want to help construct them!! Fantastic! I always welcome an extra set of hands in the kitchen. Looking for ways to add more vegetables into your nightly meals? Zucchini recipes will do just that. 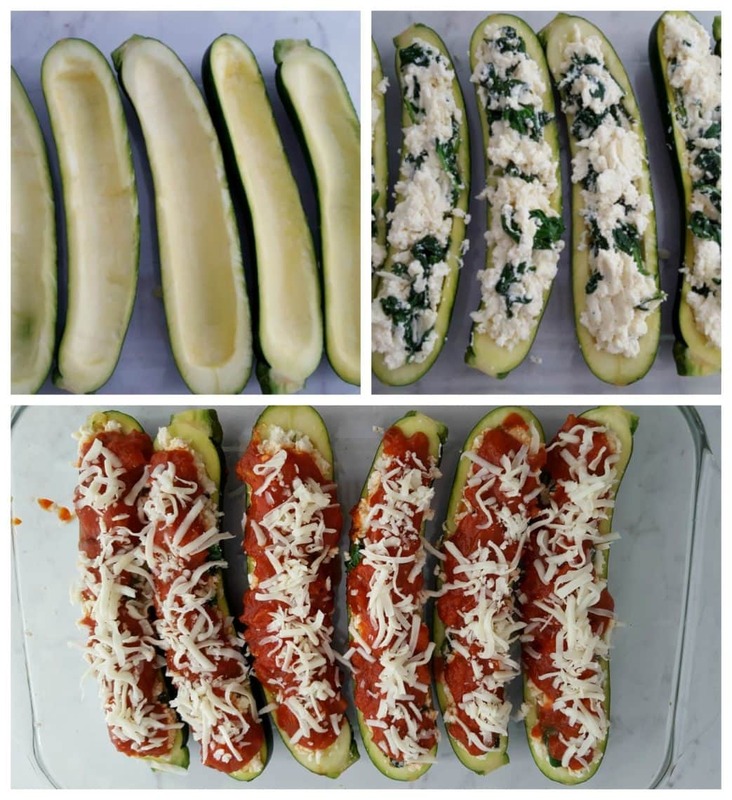 Check out these spinach lasagna zucchini boats! Preheat the oven to 400 degrees F. Slice each zucchini in half, lengthwise. Using a metal spoon or melon baller, hollow out the center of each zucchini. Place zucchini in a baking dish and set aside. Warm the tablespoon of olive oil in a large skillet over medium heat. Add the garlic and allow it to heat through for 2-3 minutes. Add the spinach and gently stir for 3-4 minutes until spinach has wilted. Remove from heat. Place the ricotta cheese, 1 cup of the shredded mozzarella, the parmesan, salt and pepper in a large bowl and stir to combine. Add the cooked spinach and incorporate into the cheese mixture. Spoon the filling into the zucchini boats. Evenly spoon on the marina sauce and top with the remaining ½ cup of shredded mozzarella cheese. Cover the baking dish with foil and bake for 30 minutes. Uncover and bake for an additional 5 minutes. Looking for more keto friendly recipes? What do you think of this zucchini recipe? Are you a fan of stuffed lasagna? I know I am!!! Vegetarian lasagna for the win. It looks so delicious…I want to try this out!